Добило популярност като „Адажиото на Албинони“, често използвана фонова филмова музика, в албума на The Doors – An American Prayer (1978), Yngwie Malmsteen, в Icarus Dream Suite Op. 4 (1984), Sarah Brightman като вокална версия в „Anytime, Anywhere“ от албума „Eden“ (1998)… Най-хубавото, което съм слушала, изпълнение е на Берлинската филхармония под диригенството на Караян. Adagio in G minor for strings and organ is a piece composed by Remo Giazotto and first published in 1958. It was supposedly based on a fragment from a Sonata in G minor by Tomaso Albinoni purportedly found amongst the ruins of the old Saxon State Library, Dresden, after it was firebombed by the Allies during World War II. 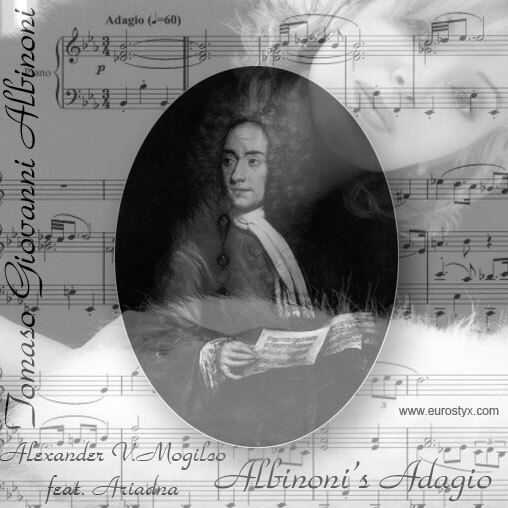 It is usually referred to as „Albinoni’s Adagio“, or „Adagio in G minor by Albinoni, arranged by Giazotto“, but it is Giazotto’s original work, and contains no Albinoni material.The Adagio is most commonly orchestrated for string ensemble and organ, or string ensemble alone.